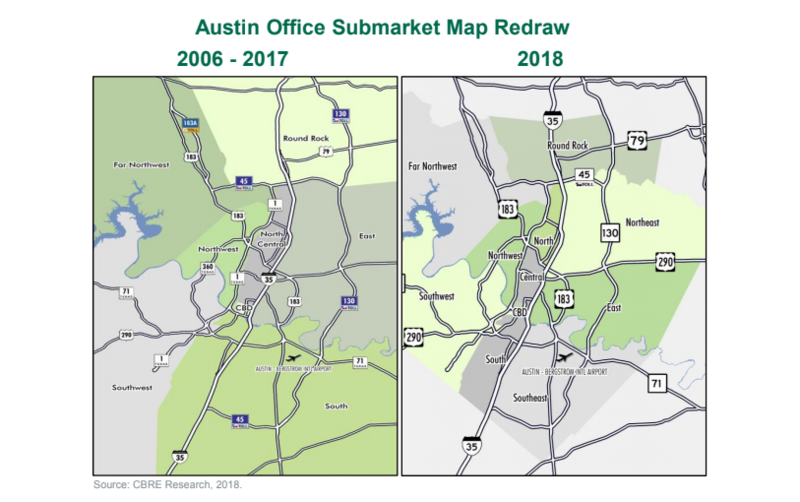 ​​​AUSTIN – For the first time since 2006, CBRE Research redrew the office submarket boundaries to better reflect the evolving market dynamics of the Silicon Hills. Given rapid levels of growth, construction and re-development, CBRE Research determined that the decade-old submarket boundaries no longer accurately reflected the marketplace. refining the South submarket into South and Southeast.